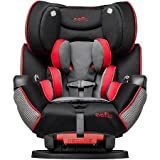 Selection of the best convertible car seat can be tricky because different models are available in the market. All seats can be differentiated by size, shapes, colors, foam, and ability to become boosters. Keep it in mind that your selected seat should meet all federal safety standards like 30 mph crash test. Numerous models are available to adjust seats in rear-facing positions and front-facing positions. You can consider the age of your child before selecting a car seat. It is important to choose the right model for your child and test it for safety and easy installation. You can purchase a convertible seat on the first birthday of your child and install it rear and forward-facing. Your infant can sit on both types of seats. 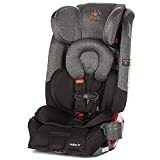 If you want to buy the best car seat for your infant, here are a few features to consider before finalizing your decision. Your selected car seat should be easy to install and keep your child secure. Check an exclusive 5-point harness system for the maximum security of your child. These special straps can tie your baby from hips, legs, and shoulders. Some car seats have a special feature for the safety of your child, such as energy absorbing foam. It is important to protect the chest and head of your baby from side-impact. Your selected car seat comes with a flexible harness so that you can adjust it as per the growing needs of your child. It allows you to adjust the height with a flexible harness. Some models come with single-handed strap adjustment and quick release buckles. All vehicles and car seats are attuned with the LATCH system. It enables you to attach your car seat directly to the frame of the vehicle. There is no need to have a separate harness. All seats have lower anchor connectors for attachment and tether strap. You can use a tether strap in a rear-facing position. Carefully read the manual before installing a seat. A well-padded seat proves comfortable enough with plenty of head support. It offers a convenient ride to your child. Children can spill juice and milk on the seat and make it messy with cereal and crackers. The newborns are famous for vomiting and spitting up. They may experience a diaper leak, or any other mishap can make the seat dirty. Considering all these situations, the best convertible car seat should come with a removable and washable cover. It will help you to keep the seat clean and tidy. If you want to increase the value of your money, you should buy a convertible seat with easy adjustability. A fixed seat becomes unfit for your child in after a few months. It will be good to choose a seat with easy adjustment from front without removing seats from your vehicle. To make your work easy, here are top 5 best convertible car seats. You can choose one of them after comparing their features and adjustability. Evenflo tribute seat is one of the best seats because it meets all necessary test standards like safety standards and side impacts. It is easy to install because of its compact size and lightweight. If you want to switch between seats, this can be a right choice for you. The Evenflo seat offers maximum comfort and safety to your children with its 5-point harness system. You can use it for growing children because it comes with two positions for crochet buckles. Just remove the cover and wash it to keep this seat clean. It is suitable for 5 to 40 lbs children. This special convertible car seat comes with a steel frame for a durable foundation to bear shocks and bags. The side walls of the seat are designed with special aluminum. The EPS foams keep your child safe by absorbing energy and protect their head. With its special bugee-like absorption, it can decrease the impact on the child. The seat comes with radian brags to avoid seat rotation. It is tested to surpass every crash and accident. It is good to accommodate the travel needs of a growing child. This car seat is good for a child between 4 pounds and 40 pounds. You can use it in rear-facing and front-facing position as per the safety and convenience of your child. It is easy to move your child in a particular position. After installing this seat, you can travel safely with your baby. 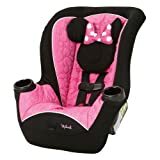 Special Minnie design attracts your baby to travel in this seat. This beautiful seat will protect the head of your child from any impact. With its 2 cup holders, it facilitates you to keep the bottle or sippy cups of your baby near your child. 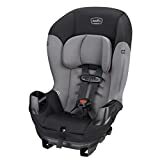 It is one of the best convertible car seats with 5 – 40 lbs weight capacity. You can convert this seat into a booster seat for children between 30 and 110 lbs. It follows all safety standards and offers e3 side impact protection to decrease side impact and crash forces. Your child can travel with safety because harness can prevent consistent fiddling. The seat is easy to install with special LATCH connectors. You can install this seat in the car within 60 seconds without wasting your energy. This seat is good to keep your growing child comfortable for a longer duration. There is no need to worry about sponging legs while rear-facing installation. It comes with Extend2Fit technology to provide additional space to your child. The rear-facing 3-position extension panel is useful to increase the comfort of your child. You can use this seat for a child above 50 pounds and 45-inch. It flexible features enable your child to ride safely without any trouble. 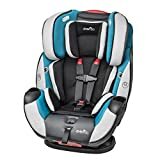 If you want to get the Best Convertible Car Seat, you can choose any one of the above mentioned products. It is important for the safety of your child. 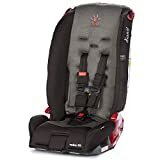 Instead of compromising on the comfort of your child, it will be better to spend money on a good convertible seat with lots of unique features. 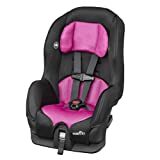 To read more reviews about the best convertible car seats, click here. Can’t afford a car seat? Buy now, pay later! Next Article 6 Useful Tips for New Moms – No Need for Stress!